We must not forget the Holocaust. We must remember those who lost their lives so it will not happen again. Join us on our remembrance visit to Auschwitz, 1-4 February, 2018. It is open to students from all Dutch universities and professional (hbo) institutions. We invite students to remember those who perished in the Second World War by visiting Auschwitz. We will discuss the subject of refugees and war in depth. We invite you to write a reflection on this visit and to share it with your fellow students. Costs: 175 € per person + travel to Eindhoven or Amsterdam airport (depending on flight). This will including flight, hotel, transportation and food. Please register before November 1, 2018, to guarantee this pricing. For registration and information, please contact Jeannette Bakker, (bakker.je@hsleiden.nl). We have a special early bird-rate of 150 euro if you register and pay before October 15, 2018 (cheaper flight tickets). 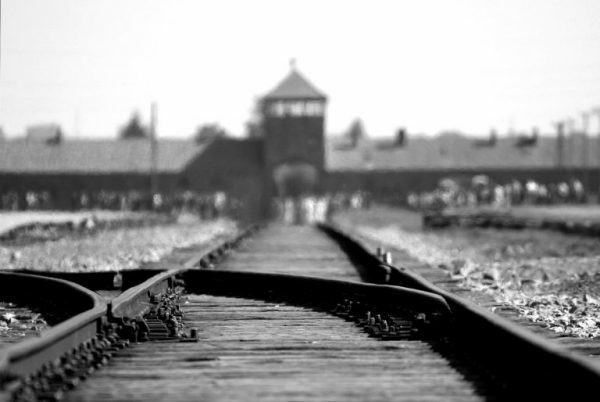 Saturday February 2: Remembering the past: study visit to Auschwitz. There will be a preparation evening in Maastricht and Leiden / Delft before the visit in January 2019. This project is organised by The InnBetween at Maastricht University; Rapenburg100 at Leiden University, MoTiv at Delft University of Technology and the Catholic Council for Church and Judaism.